Count and the Spanish bishop over Andorra. two rulers, gave the small state its territory and political form. Now that couldn`t be no better! In the late 20th century, Andorra became a popular tourist and winter sports destination and a wealthy international commercial centre because of its banking facilities, low taxes, and lack of customs duties. In 1990 Andorra approved a customs union treaty with the EU permitting free movement of industrial goods between the two, but with Andorra applying the EU's external tariffs to third countries. Andorrans speak both French and Spanish, but the official language of the country is Catalan, the only country in the world which has Catalan as it's national language. Andorra formally became a parliamentary democracy in May 1993 following approval of a new constitution by a popular referendum in March 1993. The new constitution retained the French and Spanish co-princes although with reduced, and narrowly defined, powers. Civil rights were greatly expanded including the legalization of political parties and trade unions, and provision was made for an independent judiciary. 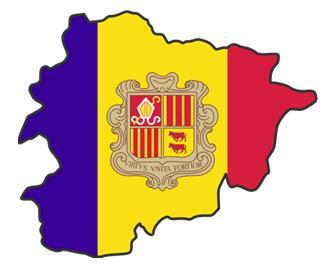 Andorra entered into a customs union with the European Communities (now the EU) in 1991 and was admitted to the UN on 28 July 1993 and a member of the Council of Europe in 1994. Population: (2005) 74,800. 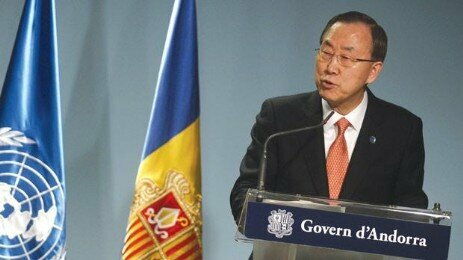 A recent UN survey reported that Andorra is the number 1 country for life expectancy at 82 years ! NOTE: You will find this posted on many websites, actually the survey was never updated for Andorra meaning our oldest living person is now 121 years old. So factually incorrect but nevertheless an extremely healthy environment.